Love hearts? 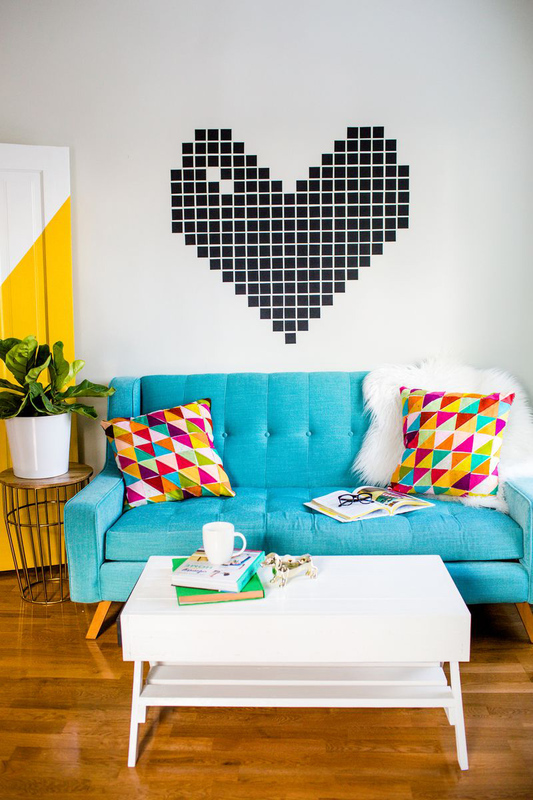 Decorate your home with that through easy DIY wall decors. Nope. 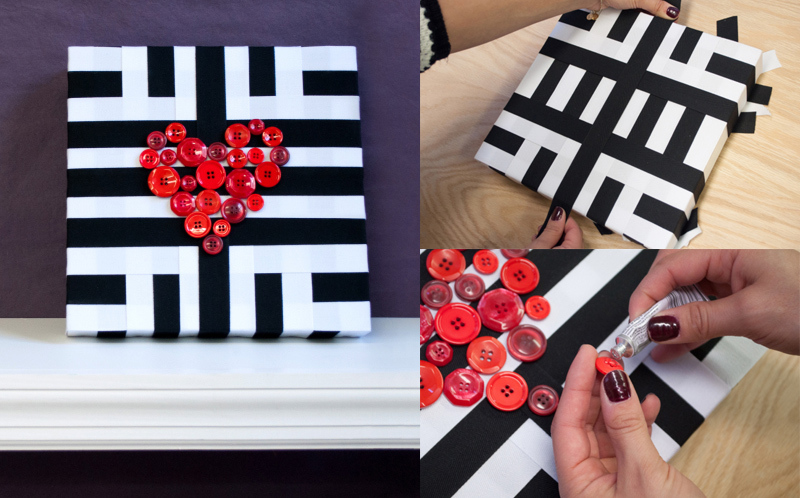 Hearts aren’t just for Valentine’s Day. But it is also for any occasion and even for no occasion at all. 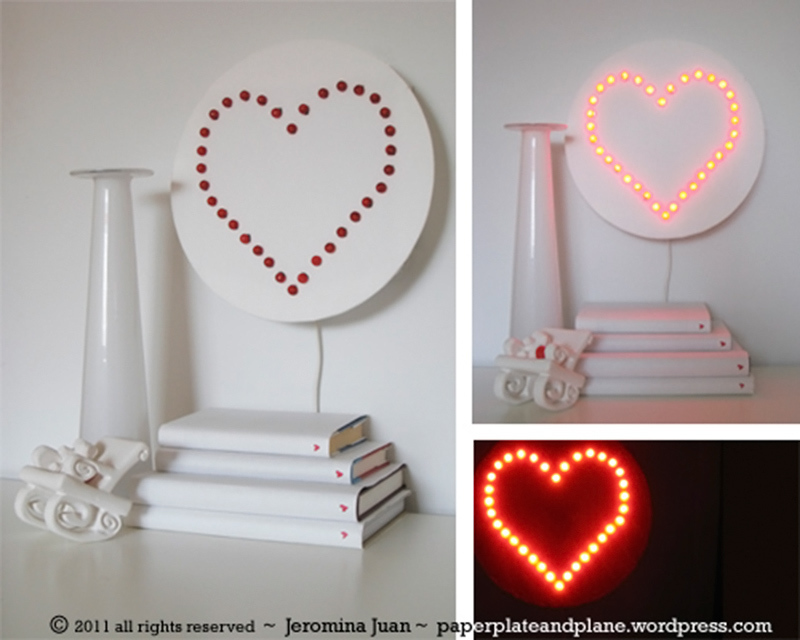 For people who love hearts like me, it is normal to decorate the house with this shape and for sure, you will be happy to see that on your walls, mantels or on your tables. 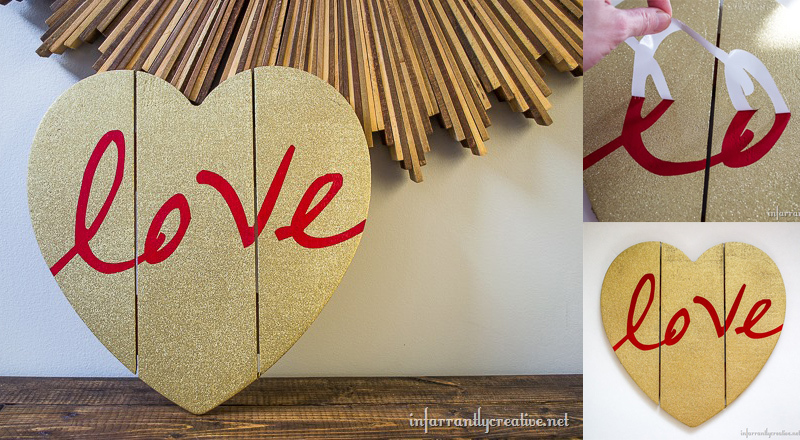 There are so many different ways to make a heart themed decor and you will be surprised on how easy it is to make them. 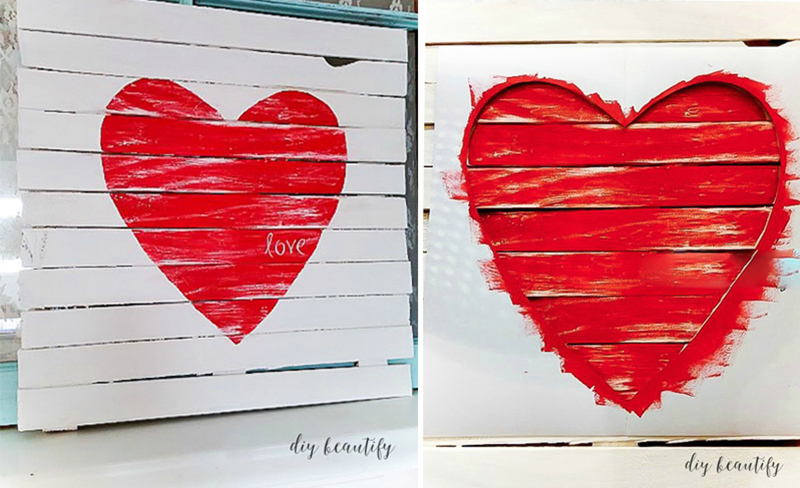 Apparently, this post is inspired by the recent V-day but the DIY heart wall decors that we will show you can be added to your home anytime of the year-even when it is not February. I am sure that once you see the DIYs below, you will get your supplies and start making them because it is indeed fun to make one that would look lovely on your home. 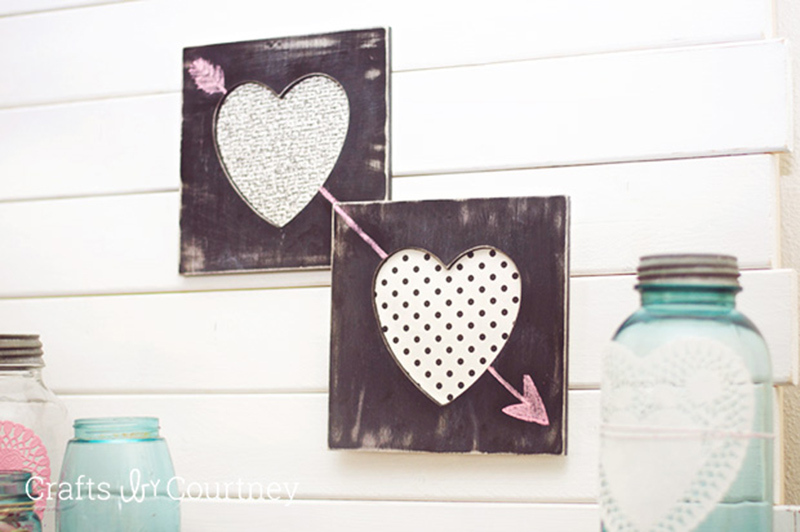 Let us take a look at the DIY heart wall decors below that you can try making. Using 3 horizontal and 2 back vertical wooden slats, you can create a sign. Paint it with white and gold and then add a glittery red heart. Lovely, right? Got acorns around your house? Why not make this easy wall decor with acorns and yarns. It looks really awesome! 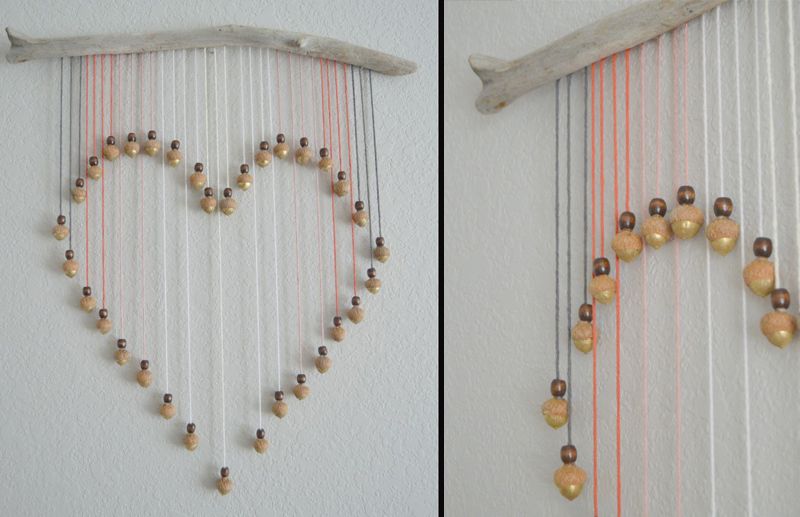 Play with strings for a wall decor like this one by using nails to form a heart and adding the strings all around it. It looks really nice, right? You can even try words and other shapes for this one. This one is inspired by a PB Kids wall decor creating a much cheaper version which you can customize. Lovely! 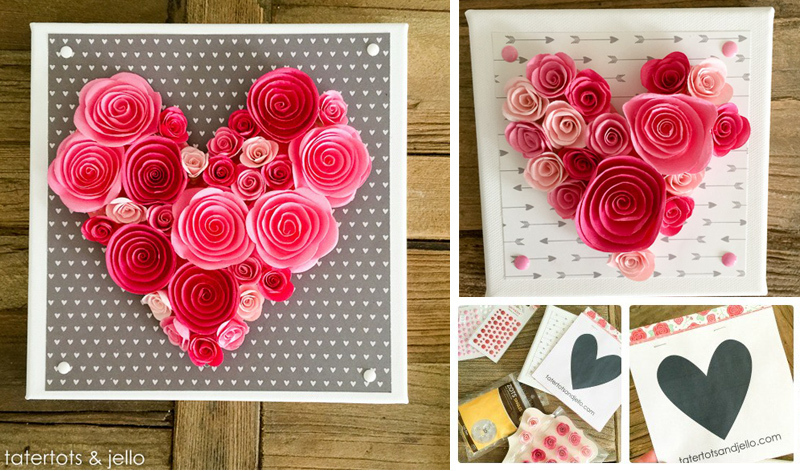 This is easy to make using hearts from different paper colors and adding a large heart on the center. I love the way it looks now that it is already framed. If you are the type who loves the natural elements, then this one is for you. And it looks fun and easy to make! When I first saw this, I looked really closely and wondered what the maker used to form the heart. I was amazed when I learned that these are coffee cup lids! Indeed, you can do anything once you are creative. 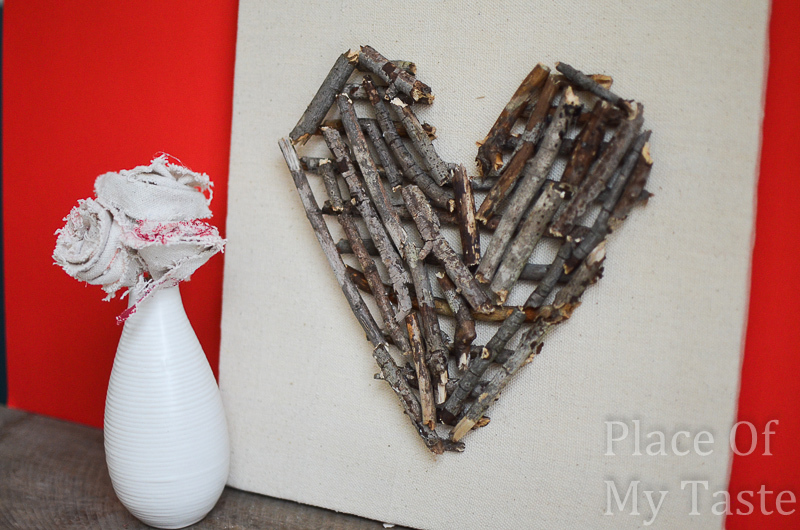 Gather some sticks around the house and make a rustic themed wall decor like this one. Looking good, right? This is very beautiful and this suits me because I love gold and red! And it is very easy to make. I like the part when it was painted and when the l-o-v-e was already peeled off to reveal the red letters. For this one you would need a Cameo to cut the stencil which you will put on top of the frames before applying paint. It looks really nice right? I actually think we can make a cardboard version and cover it with patterned paper. 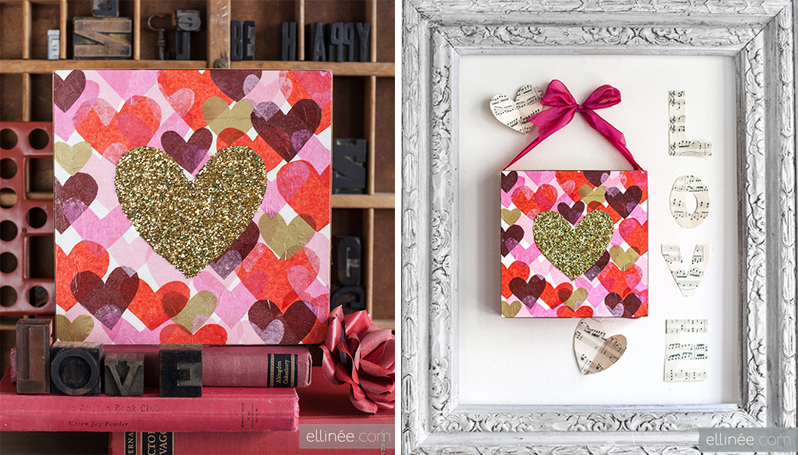 You will be surprised to know that the red heart wall art is actually very easy to make using smaller red hearts on it! 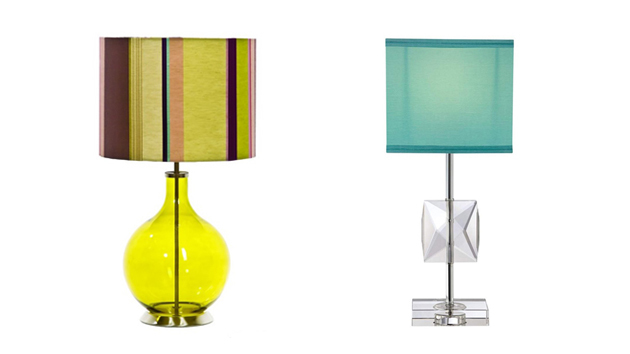 The colors hear look great and it has added texture because of the use of buttons in different sizes. I so like how this one turned out! 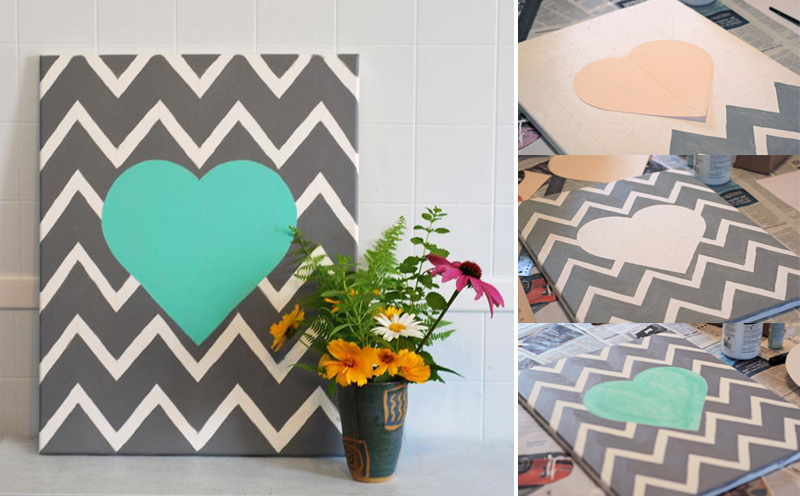 If you are chevron lover, then this one is for you and it is very easy to make too. 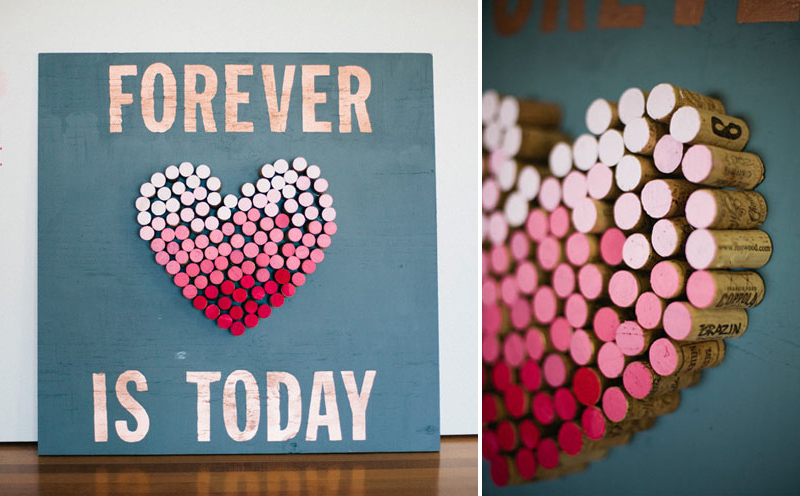 You can use it as a wall decor or for a wedding by adding the initials of the bride and groom on the heart. 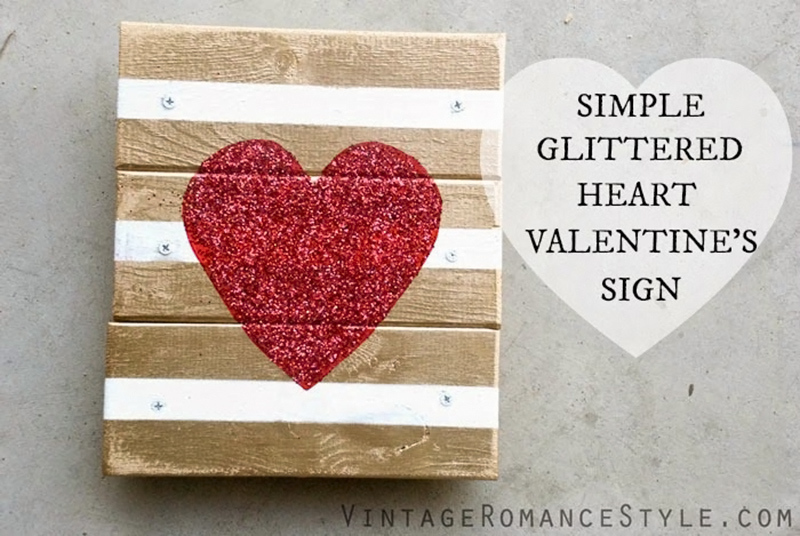 If you want something that fits for a shabby chic space, then you can try this one with a grungy looking heart painted on white wooden pallet. 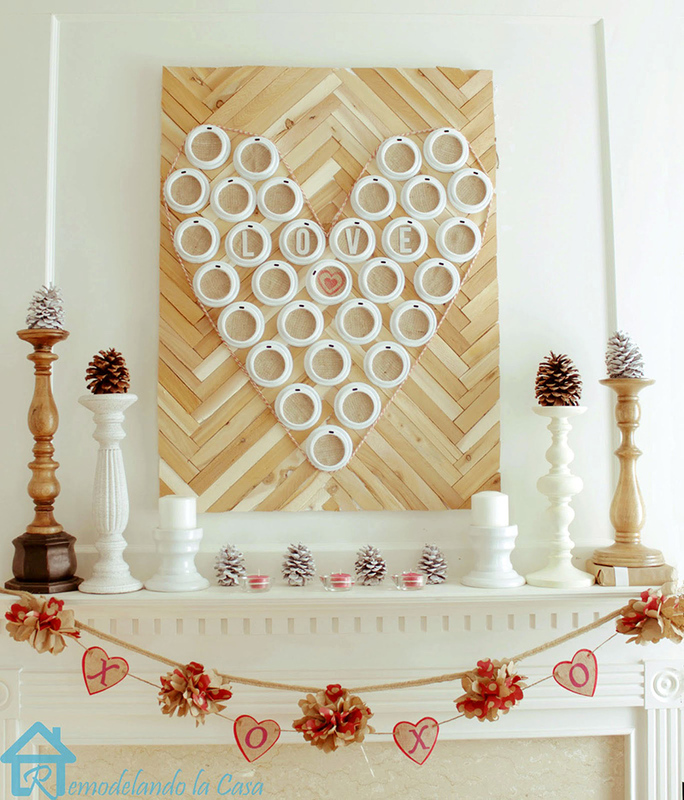 Light up your home with love by making this clever DIY forming a heart using little bulbs. It looks really very attractive despite its simplicity. 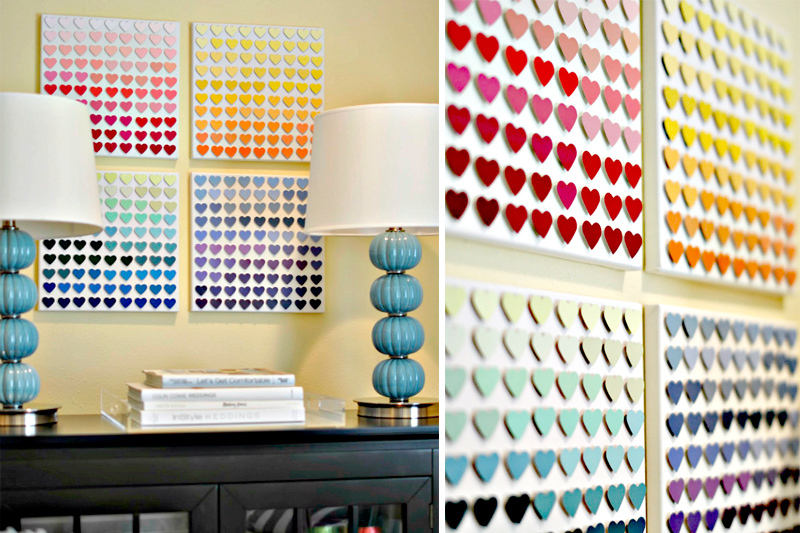 If you have paint chips that you no longer use, why not make a heart art using it? It looks really nice with all the colors in it! 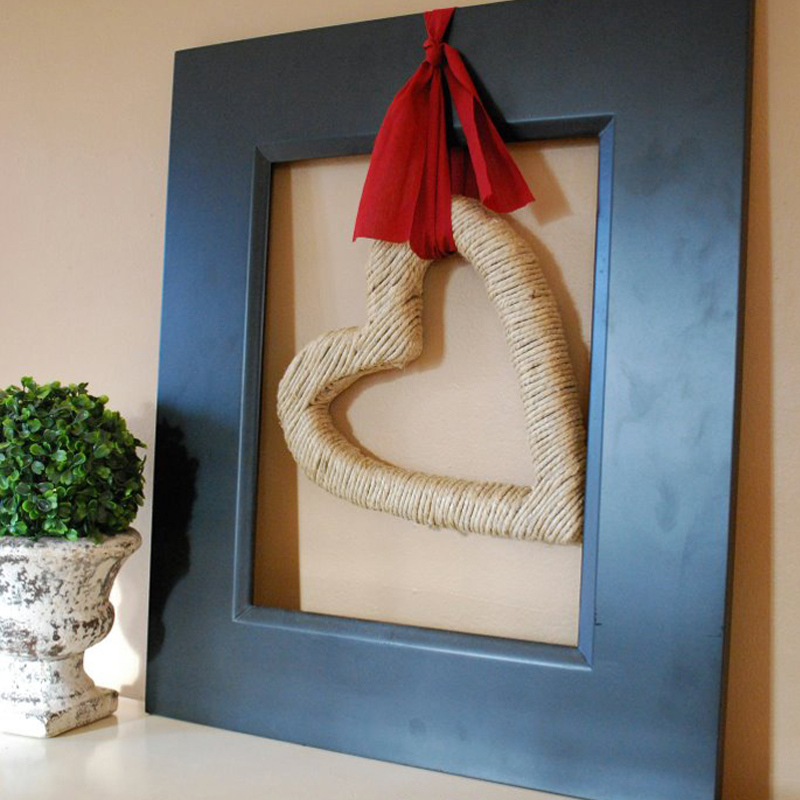 Combine a heart and a rose in your wall art and it will surely exude a V-day feel into your home the whole year round. This is indeed something worth making for the walls! For this one, you have to do your math to make sure that you will get a balance look for the heart. 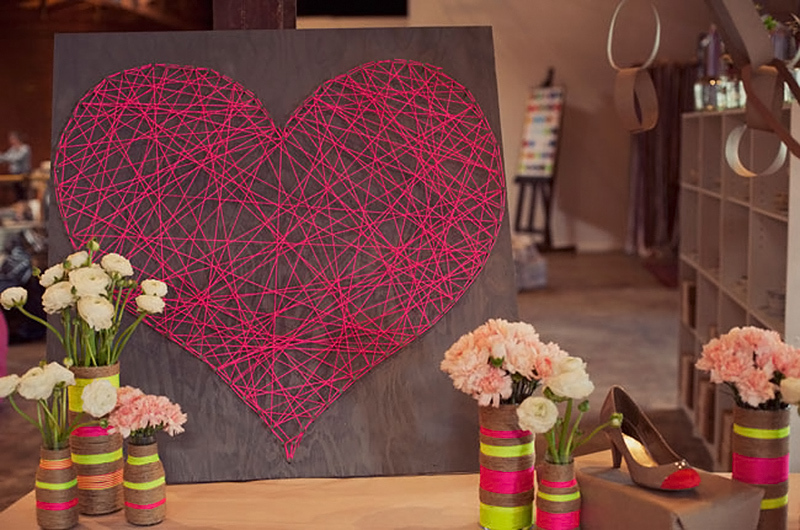 You can also use other colors for this one if you want a brighter heart. Got some corks that are just sitting in the corner? Why not make this lovely wall decor? All you need is paint and a lot of creativity! This one is a knock-off from a canvas print of Land of Nod. Yep, you can use different colored paper for this one. Just be creative. It is very easy to make! This one turned out really nice as it used black and white ribbons as well as some buttons. And I am sure it won’t take long to finish this one. 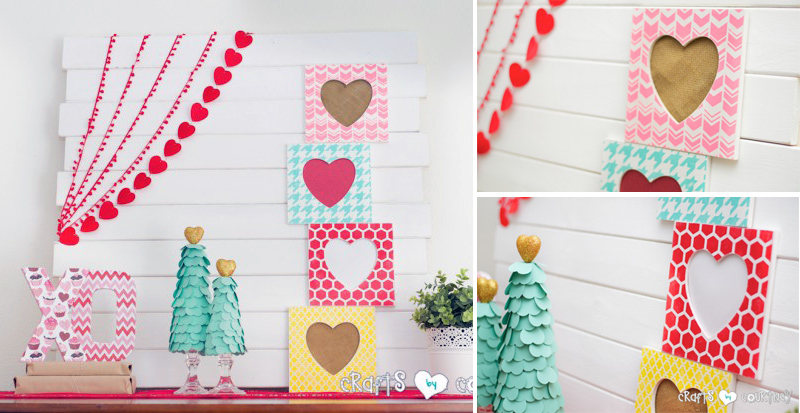 All of these heart wall art decors look really nice and most of them are very easy to make. This shows us that we can actually make anything using whatever items we have at home. And it would be totally fun to make them. 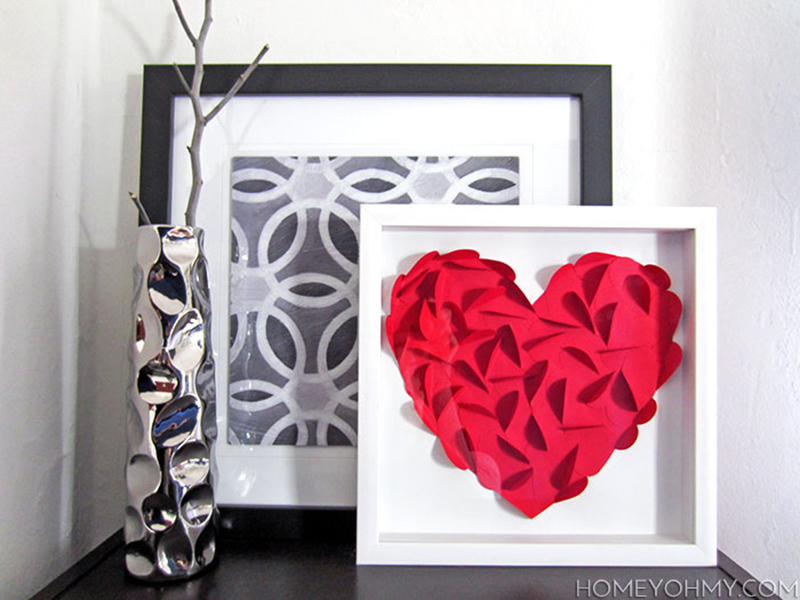 You can get ideas from the DIY decors we have featured above so you can make your own wall arts and it doesn’t need to be heart-shaped all the time. You can even try other shapes as well too.